When using the iPAQ car charger, you should never run out of power while travelling in your car. 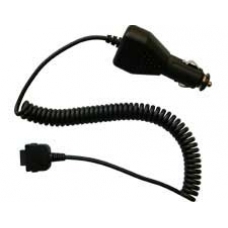 The iPAQ car charger uses the cigarette lighter outlet of your vehicle to charge your iPAQ PDA battery and supply sufficient power for the unit to operate, this is the ideal solution when using the iPAQ for in car GPS navigation solutions. * Pocket Sized and Lightweight. * LED Shows Charging Status. * Current Limited, with Reverse Circuit Protection.